Now approaching its tenth anniversary, Spotify’s Year In Music has established itself as an annual highlight for music lovers. It aggregates a user’s music listening habits for the year, and provides them with a bespoke web experience showcasing their most listened to artists, genres and songs. But with such expectations comes more potential for failure, and more pressure on the design teams to deliver. 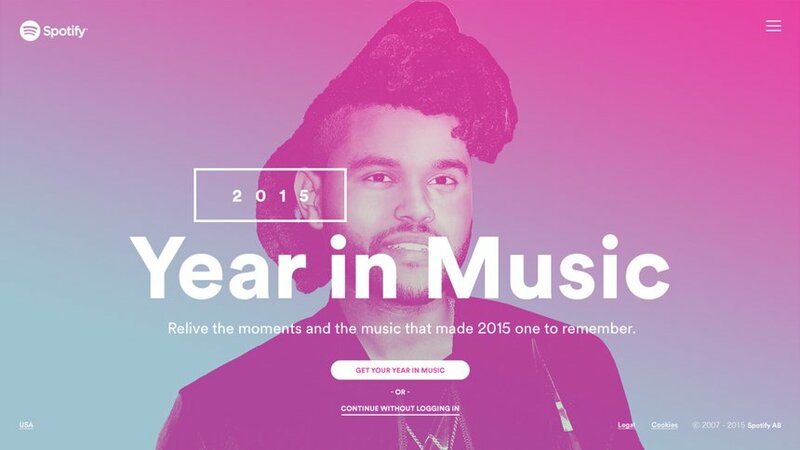 For Spotify, finding the right agency to work with to deliver the 2015 project would be make-or-break. In 2014 they had worked with full service agency Razorfish, and prior to that with Layerframe. But having most recently worked with Stinkdigital on personalised projects ‘Taste Rewind’ and ‘Found First’, they knew they were the best match for this complex build.